We all crave a break from the stresses of normal life every so often, and it is times like these where it is good to get away from the hustle and bustle of city life and experience something different. What better way to enjoy a couples retreat than visiting 'one of the fifty most romantic hotels in Europe' by the Sunday Telegraph. 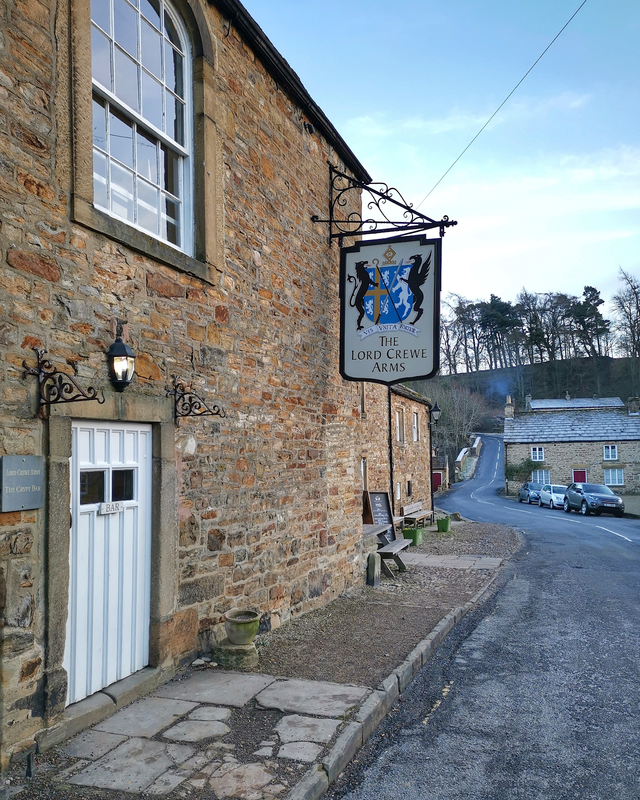 Our bags were packed, the engine started and we headed for the wilds of the North Pennine moors where you will find tucked away The Lord Crewe Arms Hotel in the peaceful and picturesque village of Blanchland. It can be easy to forget just how beautiful the UK is, especially when we’re always seeking the next available flight abroad. Now don't get me wrong I love travelling; it is important to immerse yourself with different cultures, ethnicities, accents and the atmosphere that comes with visiting an exotic location, as it helps broaden your mind. However, to explore Northumberland you don't need to book tickets to board your next flight. And so, you'll be saving money and reducing your carbon footprint at the same time. All whilst experiencing something just as magnificent. 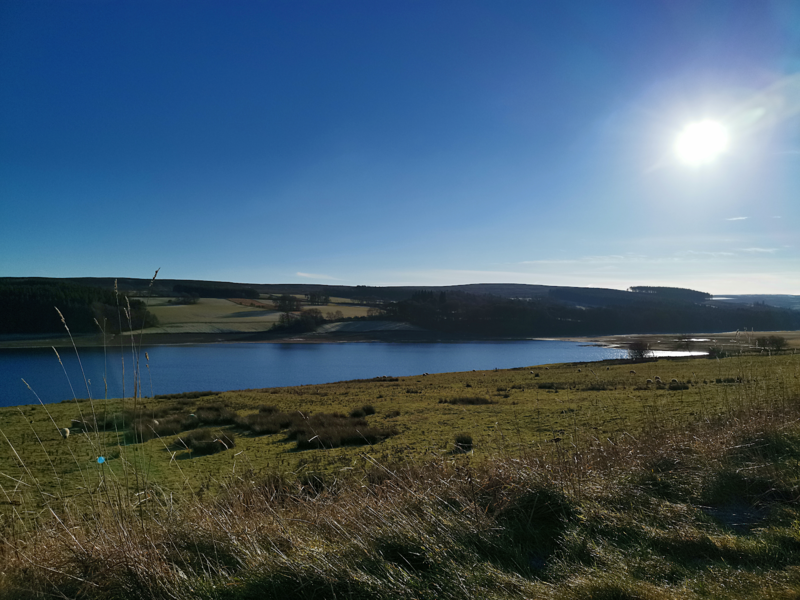 Walks and cycle routes are on your doorstep, while Derwent Reservoir - for picnic spots and sailing - is two miles away. 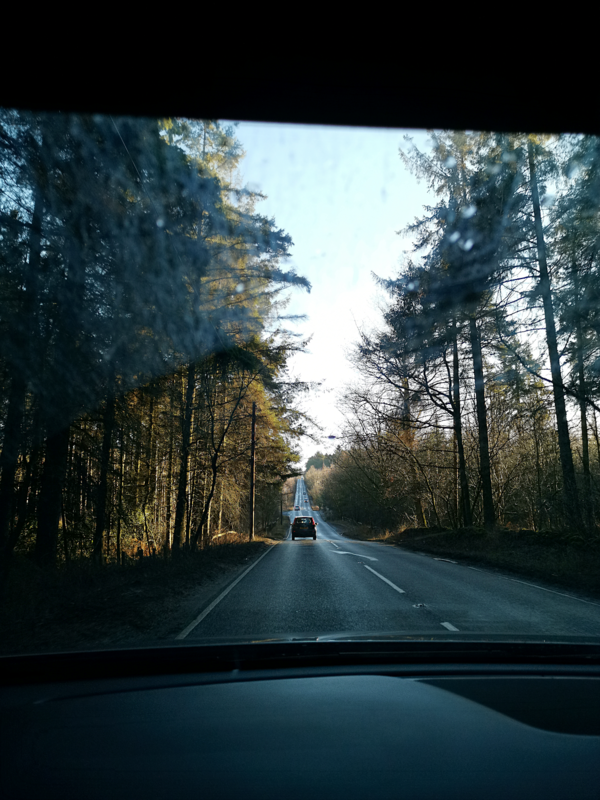 A car is essential for other sights - Corbridge, Hexham and Hadrian’s Wall are around 30 minutes - but the isolation means a quiet night’s sleep. 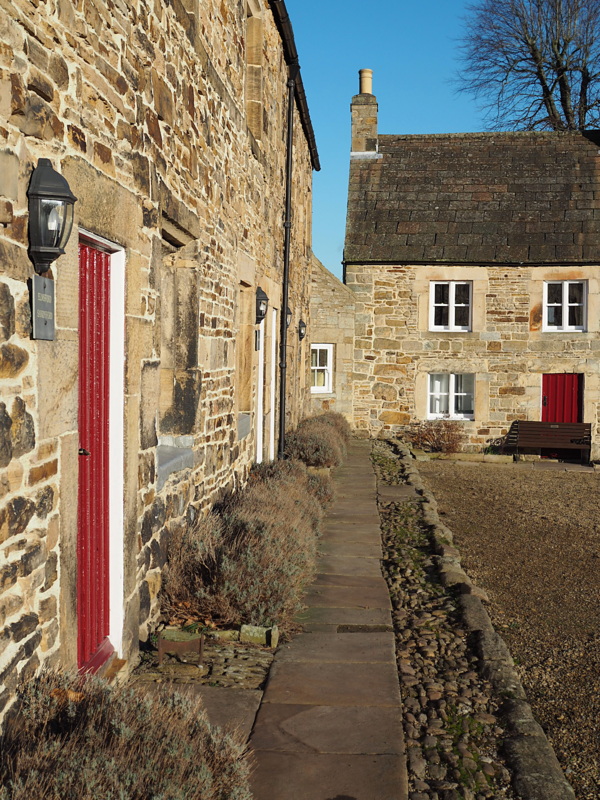 You don't necessarily have to be the outdoors type either to visit Northumberland. 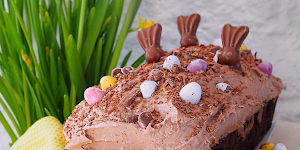 You can enjoy a three-tier high tea at a local patisserie, treasure hunt at weekend markets or attend one of the many festivals that are hosting in the region. 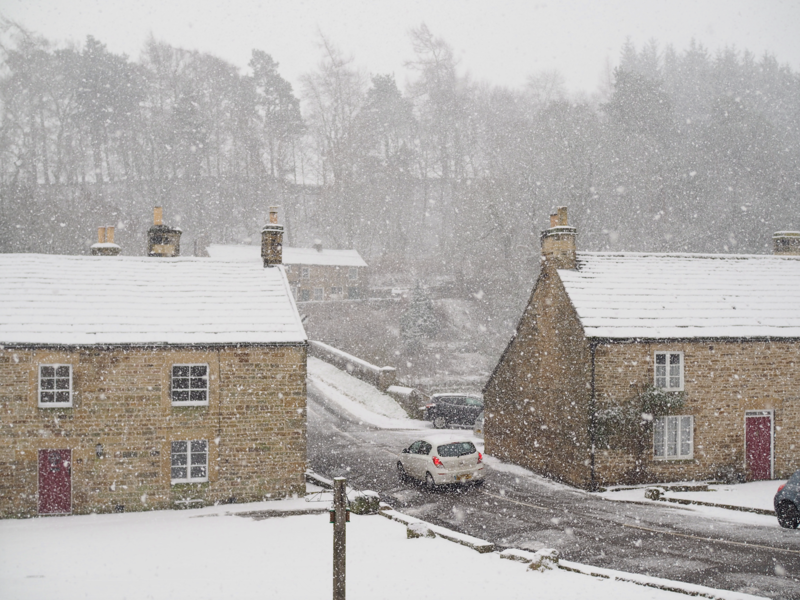 Blanchland is an isolated huddle of honey-coloured stone buildings nestling in a hollow in the rugged moors; housing a population of no more than 100, 25 miles south-west of Newcastle. When we arrived you feel as though you have stepped back in time, detached from the rest of the country and the 21st Century. We were happy to welcome this feeling of isolation with open arms. 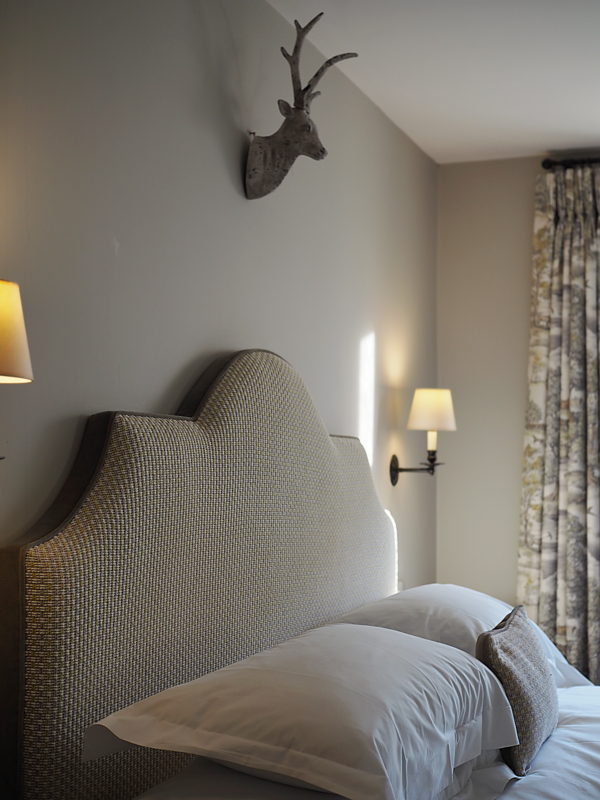 The Lord Crewe Arms Hotel is a building synonymous with history and with the advantage of age-old hospitality oozing from its very foundations. 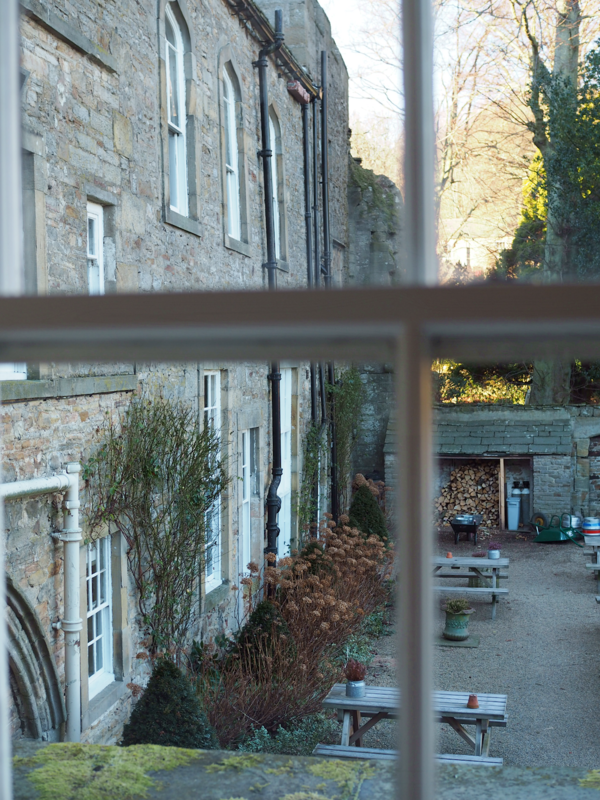 An abbey was founded here in the 12th Century and what is now the Lord Crewe Arms hotel was built as the abbot’s lodge, guesthouse and kitchens, becoming an inn in the 18th Century. 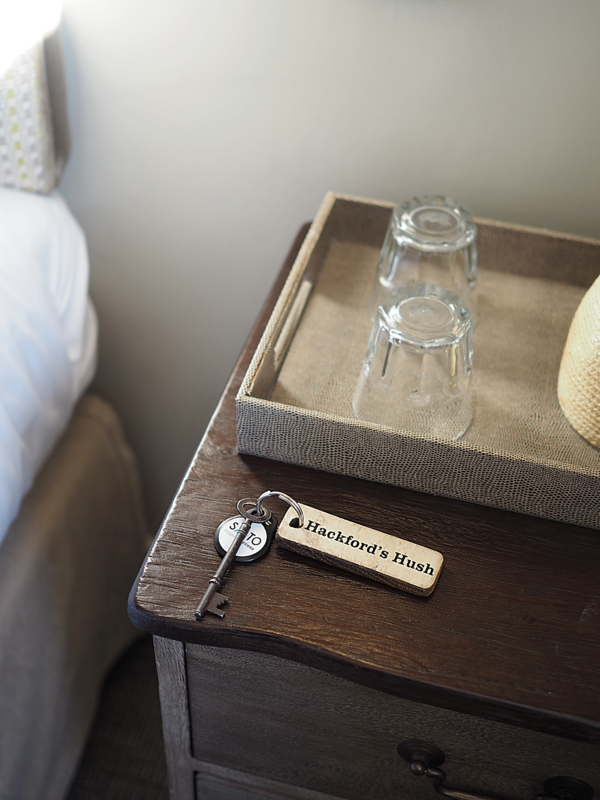 There are 21 rooms available at the hotel, located across the main abbey building, an adjacent square of former lead miners’ cottages, and an old inn. Our home for the night was in one of the 'Cosy' rooms - the smallest of rooms available to book at the hotel. However, it was more than enough for our stay. With its rustic furniture, natural materials and soft colours the decor they have succeeded in bringing the countryside indoors. 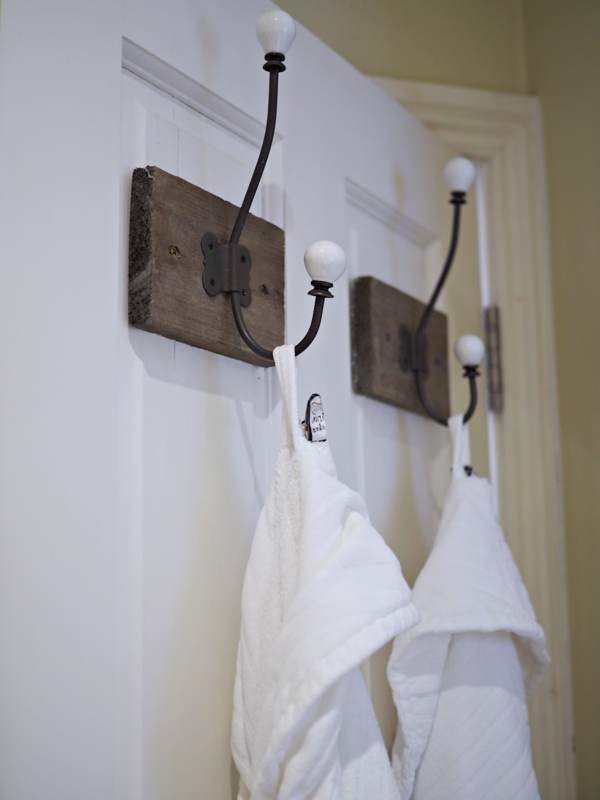 In addition to being beautifully decorated, everything has been well thought of in preparation for a guests arrival. 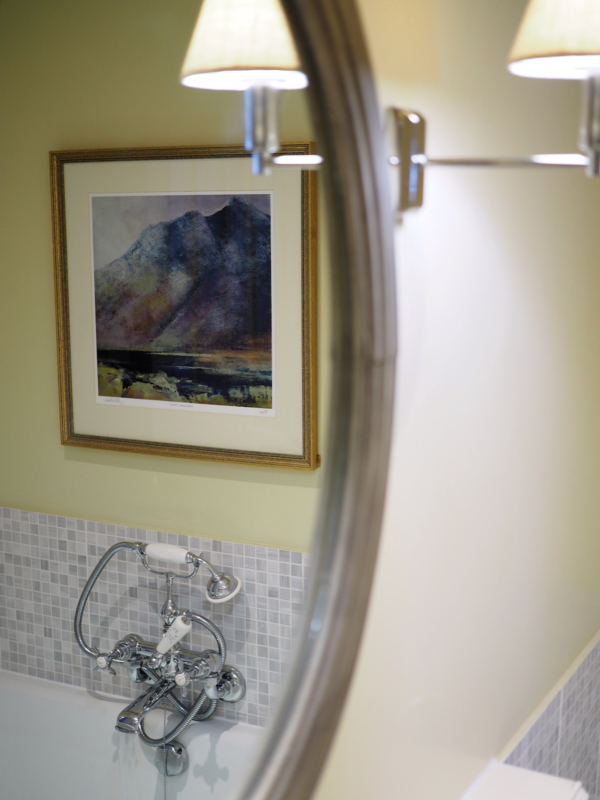 From fluffy bathrobes to a spare umbrella and walking boots you really are able to make the most of your stay, no matter what experience you are looking for. 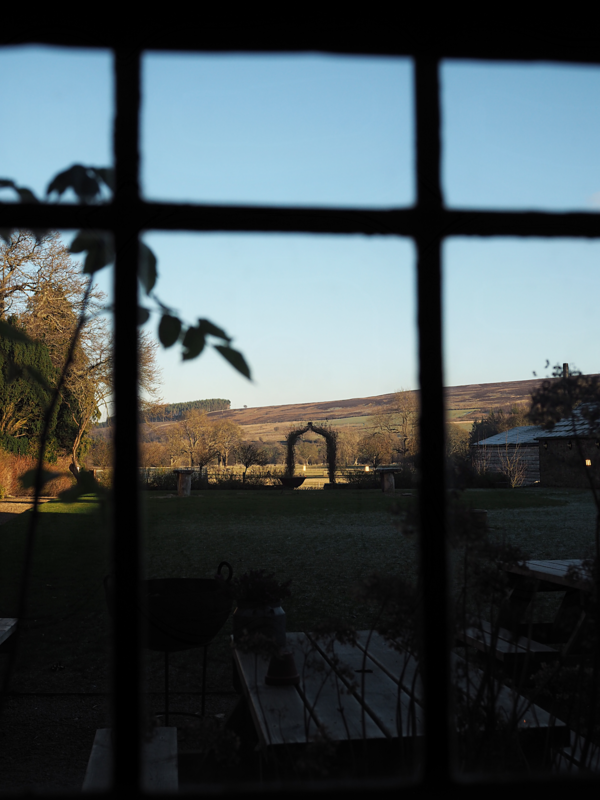 The views from our room provided us the best of both worlds;from the bathroom we were able to observe the beautiful grounds of hotel, whereas from our bedroom we could observe all those coming to and from Blachland. Furthermore I am a huge advocate for supporting local businesses and the community as much as I can. The commercial world is full of companies that all offer basically identical options. It’s hard to find anything that is in essence, completely unique anymore. When you drive across country, and all you see is the same scene… same brand, same big box stores, same products on the shelves. Very disappointing, isn’t it? 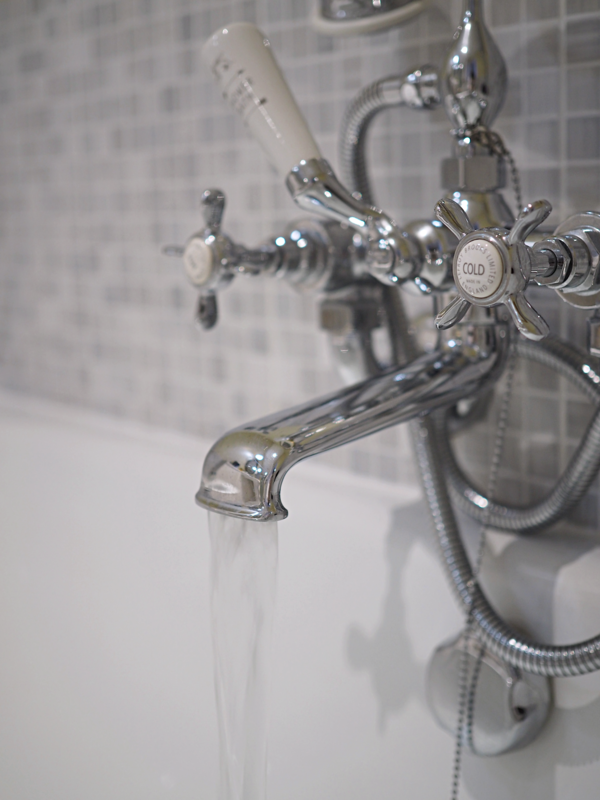 Therefore, one of my favourite observations of my stay at the hotel which really enhanced the overall experience was to see that many of the products used; such as the amenities, coffee and ingredients were locally sourced. I particularly enjoyed the delicious slab of fudge that was amongst our hot drinks tray in our room! 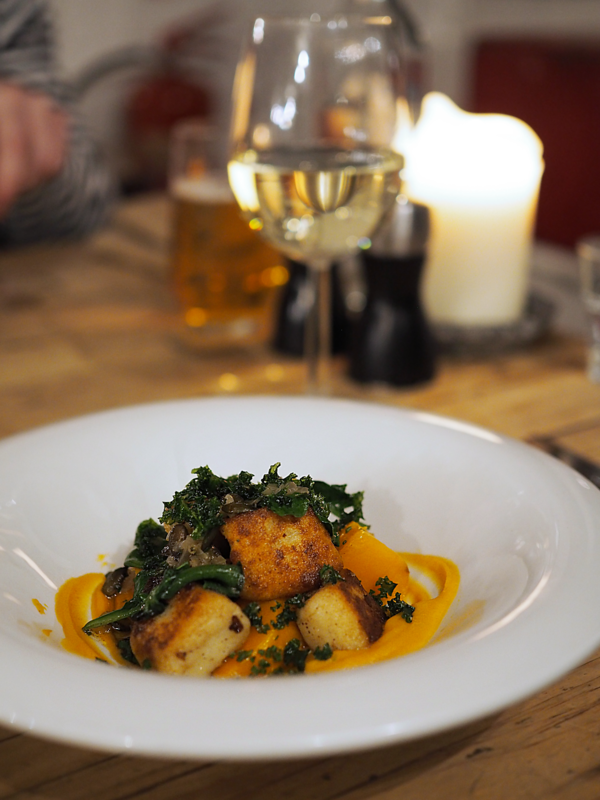 The food we received for our evening meal was nothing short of exceptional. 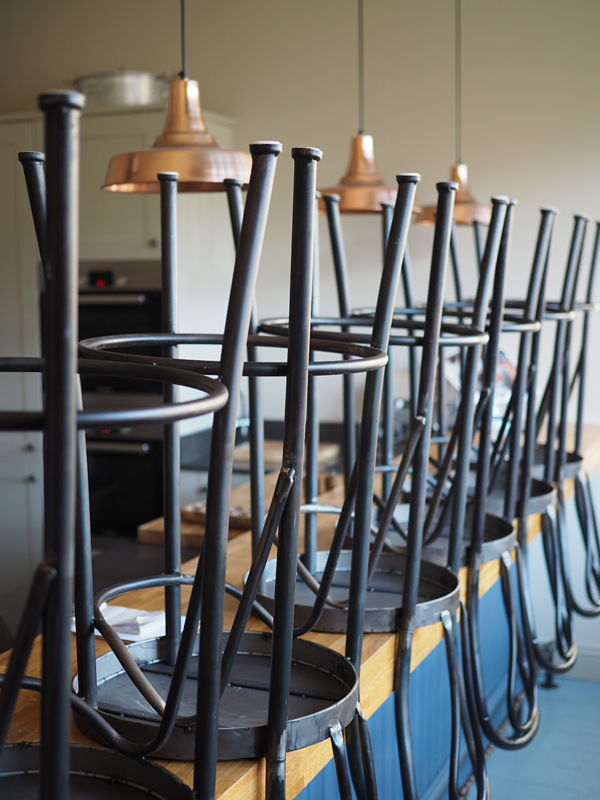 The head chef is Simon Hicks, who was head chef at Mark Hix’s place in Soho. The dinner menu offerings was stripped back to a select number, but did not hinder my ability to decide what I wanted to eat that evening. In all honesty, I wish I had the stomach capacity to had eaten more. 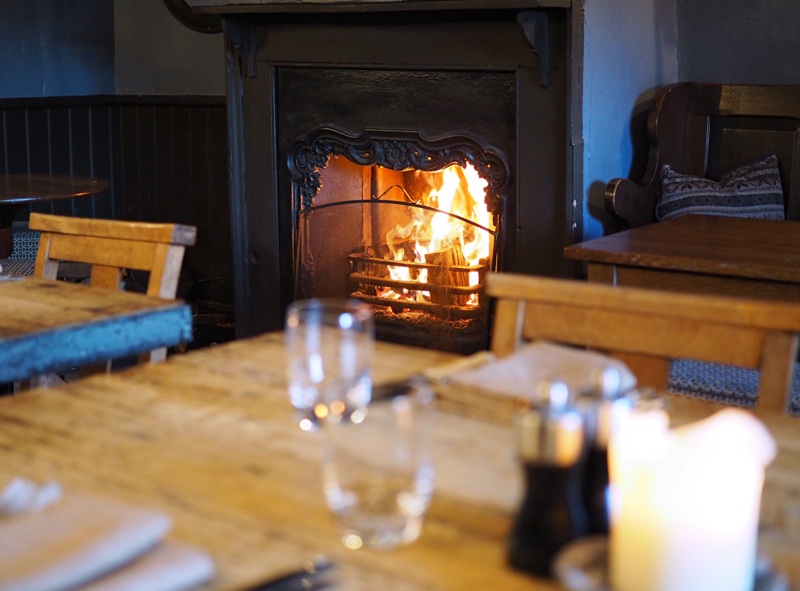 On a cold winters night, what more can you ask for than to be sitting by the fireplace with a burning wood crackling away made the whole experience a true delight. I also have heard very positive things about their Sunday Lunch and Afternoon Tea - Definitely something I will be looking into returning for! Overall, I would highly recommend the Lord Crewe Arms Hotel. It really has got everything absolutely right. 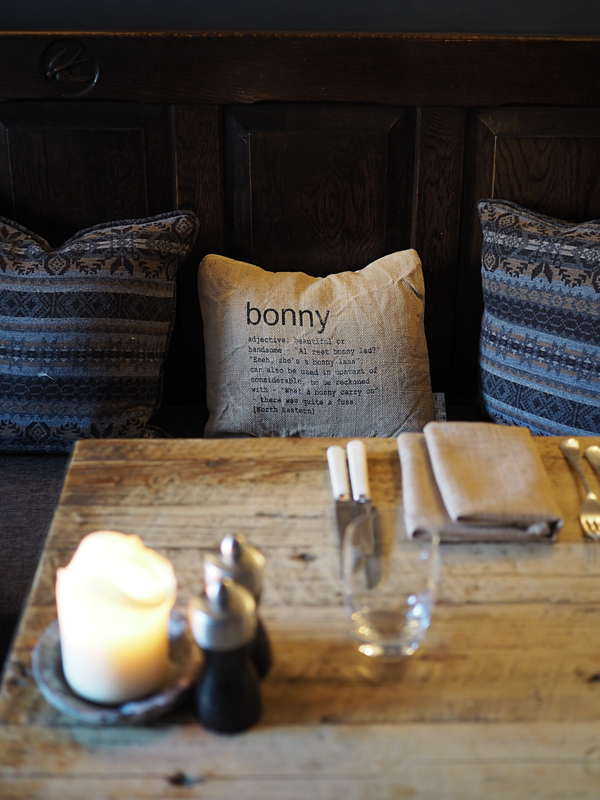 It's atmospheric, so stylish and true to the character of the village and the history of the building. If you are looking for a remote retreat, then this is the place to visit. Book yourself a room! My only regret is that I didn't get to explore the Lord Crewe Arms famous gardens due to the weather at the time of our visit. I can imagine in the peak of summer it's nothing short of fantastic to sit on the benches outside with a cold drink and take in the country views. That being said, there was something quite tranquil about observing snow falling from the window. However, there is nothing remotely relaxing about trying to get home in it the following more (but that is a different story entirely). 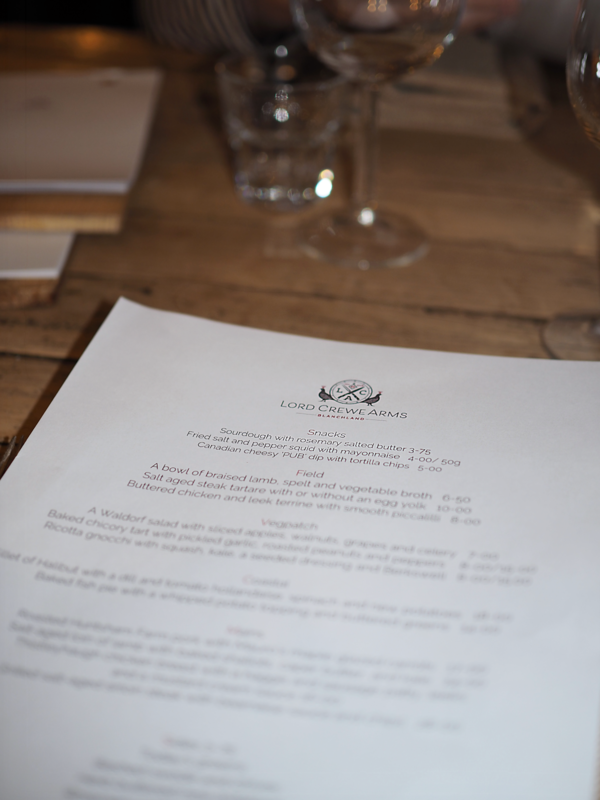 Disclaimer - I was invited to the Lord Crewe Arms for a press review, all words are my own.